Every year, people spend Thanksgiving with an attitude of gratefulness. Then, they turn around and immediately focus their attention to Black Friday and Cyber Monday. Though these days can be great opportunities to buy gifts for loved ones, most people haven’t had much time to act on their feelings of gratitude. This year, the Billy Graham Library is participating in “Giving Tuesday,” the day after Cyber Monday that focuses on blessing others. Our goal is to see 100 people give $100 each in honor of Billy Graham entering his 100th year of life. To do this, we are partnering with Share Charlotte in their #GivingTuesdayCLT campaign. We joined this community-wide campaign because we believe the Library makes a positive impact on our community, offering the hope and truth of Jesus Christ. We encourage you to give thanks to God by investing in the work He is doing on earth. 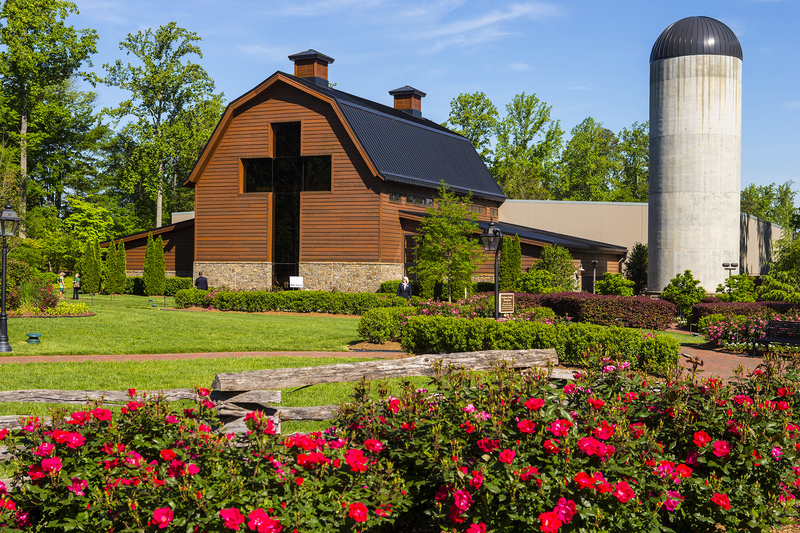 Here at the Billy Graham Library, we proclaim the Gospel of Jesus Christ. Every year, tens of thousands enter the Library doors through the foot of the cross and have the opportunity to give their lives to Christ. Since admission and many events at the Library are free, we need your help. Would you consider being one of the 100 people to give $100? Your gift will impact others and further the Kingdom of God.